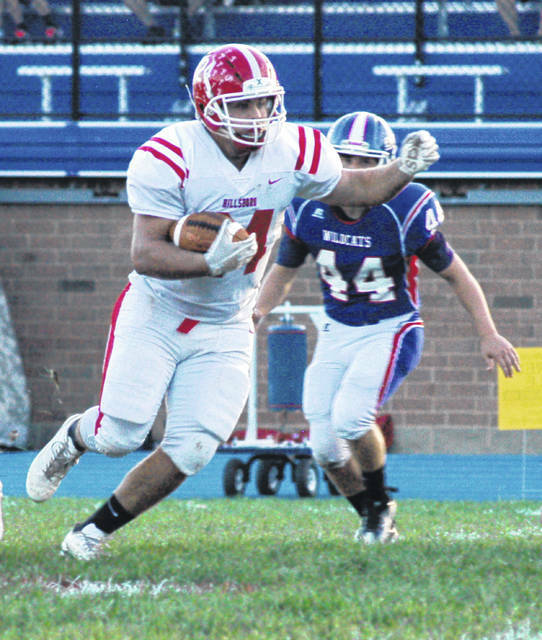 In this Times-Gazette file photo, from September 14, Hillsboro’s Josh Keets runs the ball at Williamsburg High School where the Indians beat the Wildcats 55-35. The Ohio High School Athletic Association released the official weekly football computer ratings Tuesday afternoon. The weekly computer ratings are released every Tuesday beginning in the fifth week of the season, leading up to the final report on Sunday morning, Oct. 28, when 224 schools (top 8 in each region) will officially qualify for the playoffs.